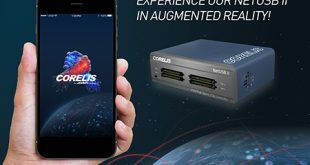 Corelis ScanExpress JTAG software version 8.2 is now available! All users with a current maintenance contract can download the software from our download site and new shipments will include the updated software. Software enhancements, new features, and updated device models have been applied across the entire suite of products. ScanExpress Viewer can now take advantage of ODB++ format files to display CAD overlays and highlight specific devices, pins, and traces. Trace colors are independently customizable to distinguish between multiple selected elements. Traces connected to pins listed in ScanExpress Runner ADO fault logs are automatically highlighted for quick visualization of even more possible fault locations. 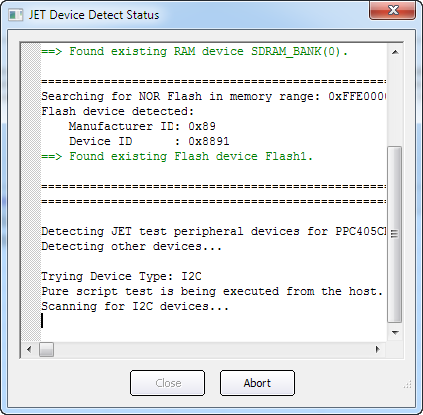 ScanExpress Flash Generator, ScanExpress Programmer, ScanExpress TPG, and ScanExpress Runner have all been updated with native support for e.MMC flash memory components. 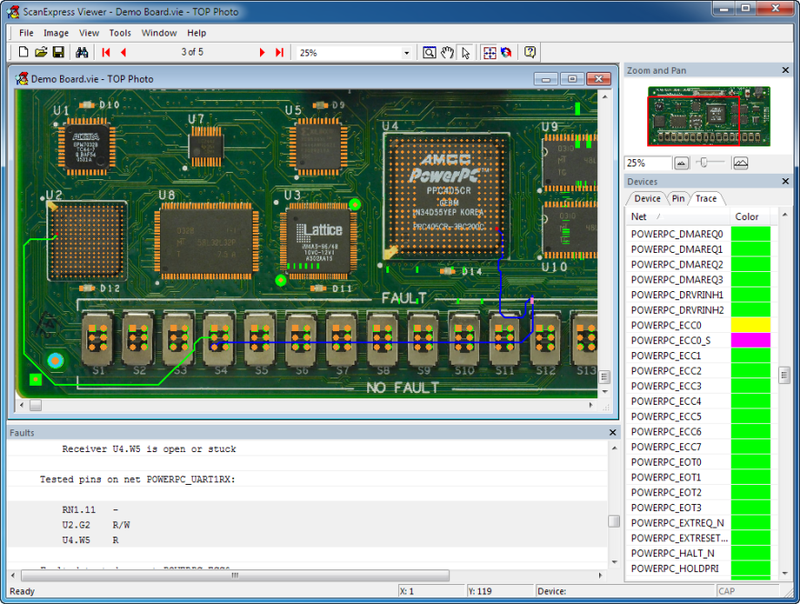 Supported e.MMC components can be erased, programmed, and verified when connected to a boundary-scan component. Additionally, flash test steps can take advantage of the connection test built into e.MMC 4.41 or greater to verify interconnections between a boundary-scan device and e.MMC flash component. 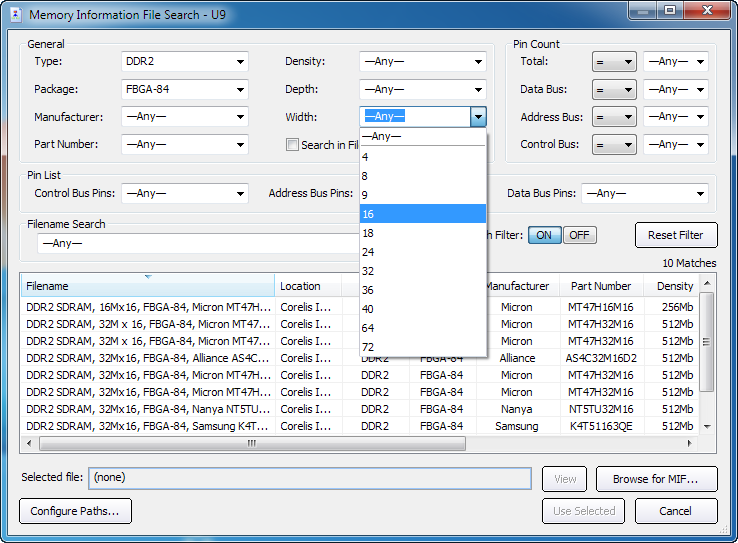 ScanExpress TPG now includes a new memory information file (MIF) search interface to assist in selection of appropriate memory models. 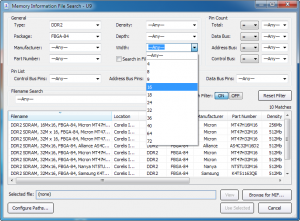 The new parametric filter interface allows memory models to be selected based on a variety of features including bus width, density, file name, and more. Multiple libraries can be searched, allowing organizations to both utilize Corelis’ library of models and maintain a library for internal use. ScanExpress TPG can now import EDIF version 2.0.0 format and Ariadne/CAD-UL format netlist files. Additionally, many netlist import functions have been enhanced with additional features, including the expansion of IPC-D-356 format import to include many non-standard extensions. 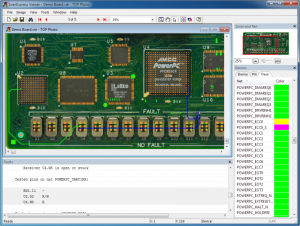 ScanExpress JET now supports three additional CPU types: Mobileye EyeQ3, Nvidia Tegra-K1, and Altera Cyclone V SoC. 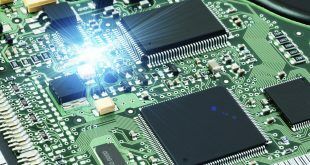 CPU support packages include basic initialization, RAM, and NOR flash support. For more information on supported peripherals, contact your sales representative. Additional auto-detection features are now available for all supported CPUs. 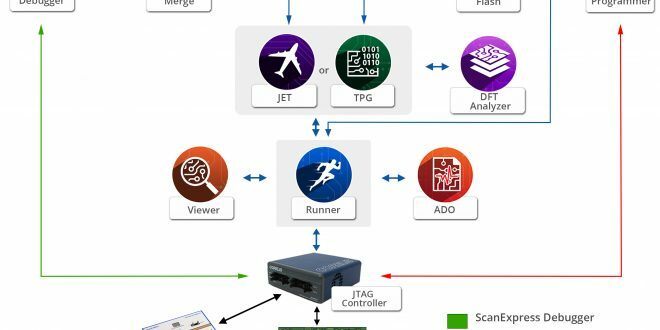 ScanExpress JET can automatically detect and determine appropriate settings for RAM, flash, and additional interfaces including I²C and UART. Automatic detection makes it easier than ever to configure peripheral tests for a known-good-board. 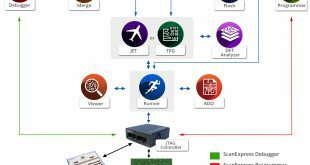 ScanExpress JET can now take advantage of support for Freescale QorIQ CPUs using Corelis JTAG controllers. 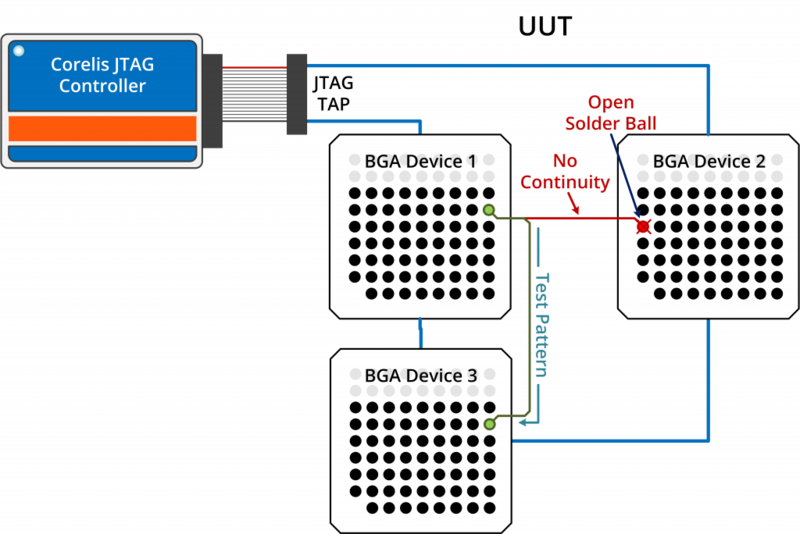 Previously available only with support for Freescale CodeWarrior TAP controllers, Corelis controllers can now be used to execute both boundary-scan and JTAG Embedded Test (JET) steps. Using the same hardware reduces the need for operators to change equipment and eliminates additional cabling complexity during production. 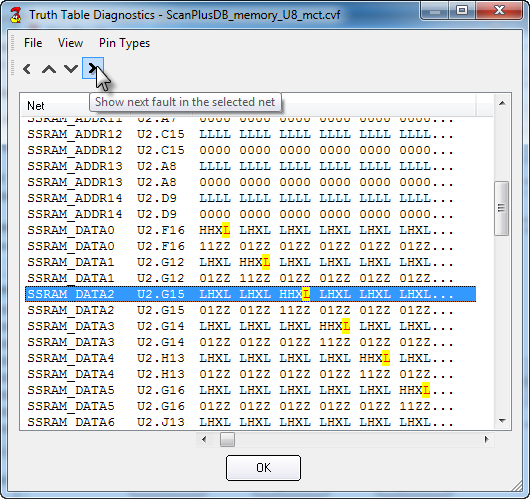 The truth table diagnostics user interface has been improved with additional navigation options. Buttons are now available to navigate between nets or vectors that include failure results. Additionally, sorting nets will keep the selected net within the visible area of the window, making it easy to stay focused on a particular result. Many more enhancements and improvements have been made throughout the software suite. Current Corelis customers with a valid maintenance contract can now access the new software version 8.2 through the Corelis support website. For a complete list of improvements or to inquire about a maintenance package, please contact the Corelis sales team at (562) 926-6727; or, send an email to sales@corelis.com.